What’s up, small towns! Spunky, artsy, and ready for adventure, there’s just something about small towns that makes you smile and want to explore more. But which town should you tackle next? To answer that question, Expedia.ca polled 1,000 Canadians to nominate their favourite small towns. We sorted through all the written survey results to find the most frequently mentioned places (population max 20,000), and are eager to present the top choices. 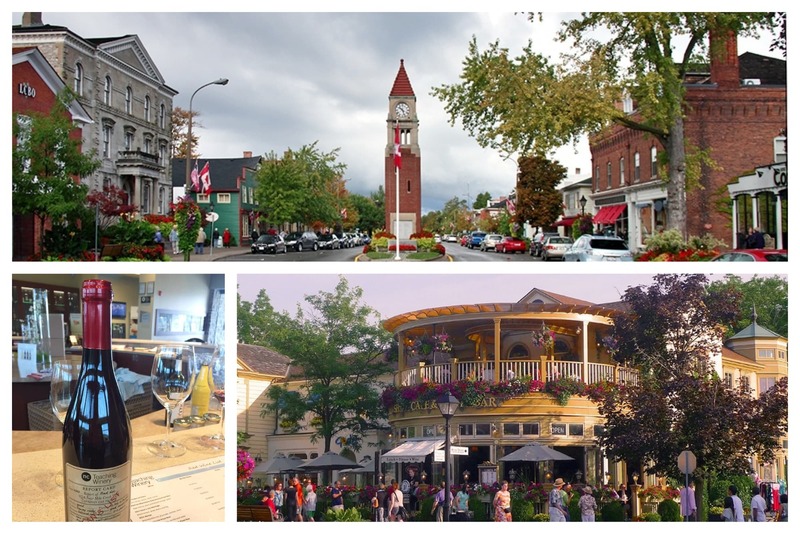 These are the favourite small towns in Canada, in ranking order. Bragging rights definitely apply. 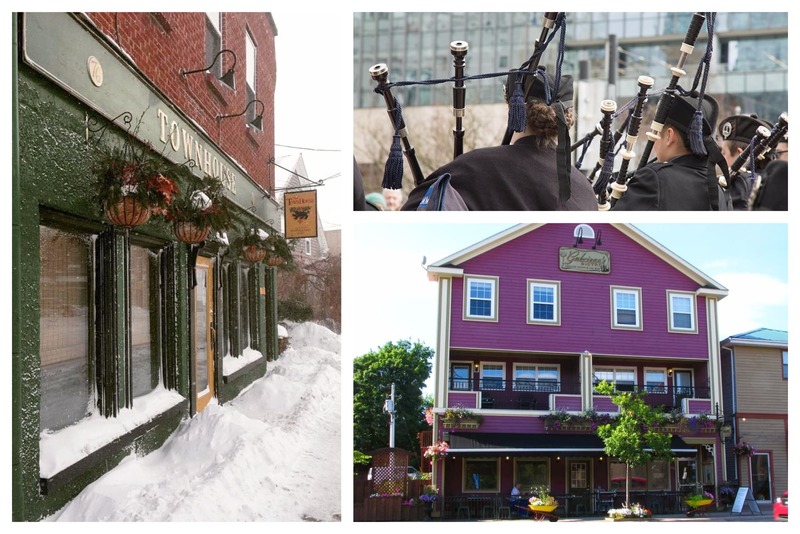 Left: Yelp/The Townhouse Brewpub & Eatery; Bottom Right: Yelp via Denise D.
Do you hear the bagpipes calling? Because, friend, they’re beckoning you! Antigonish is well-known for their highland pride, which has clearly made an impression on survey voters. This top destination was easily voted as one of the best small towns in Canada. Just remember to pack the kilt before you catch your flight here. The Antigonish Highland Games are legendary in the region. Taking place each July, the event includes pipers, drummers, and dancers, along with amazing food and a strong sense of community. Want to see something that will change your life forever? Then you need to make a date with the Antigonish International Film Festival. The festival features a myriad of documentaries that highlight regional and global issues for the world to see. Looking for a place where a bonnet or colonial hat is more common than a slouchy beanie? Then head to Annapolis Royal! 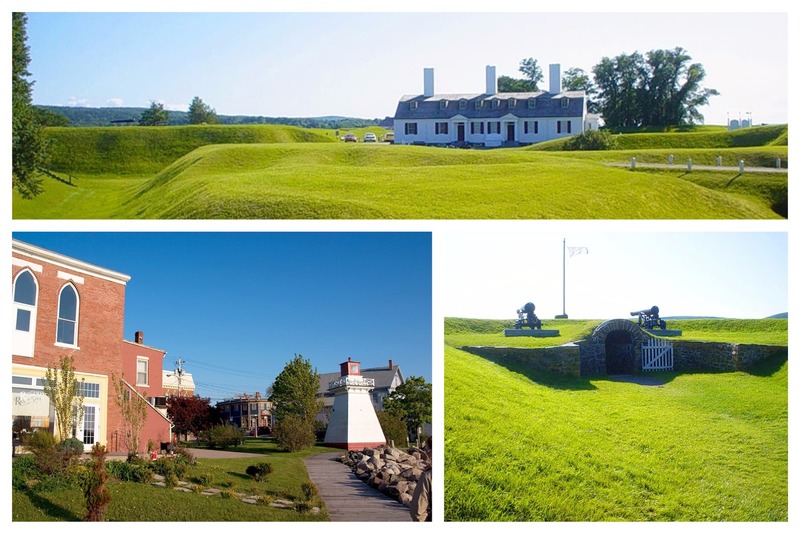 Voted as one of the best small towns in Nova Scotia by survey-takers, this destination packs a big punch for history lovers. The Historical Association of Annapolis Royal is proud to present lively tours around town, complete with costumed guides. Whether you choose a historic district tour or a candlelit graveyard tour, it’s a one-of-a-kind experience. Theatre fans unite! For the best performances in town, you have to make your way to King’s Theatre. Featuring concerts, comedy, and indie films, it’s where you’ll find all the cool kids on Friday night. Shoppers! 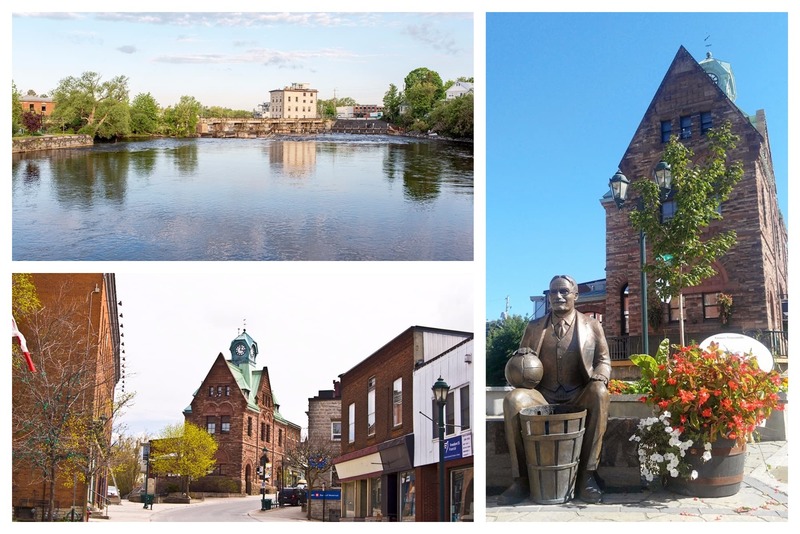 Not that we need to convince you to buy more clothes, but perhaps we can direct you to a shopping district you may not have splurged through yet: downtown Almonte, Ontario. 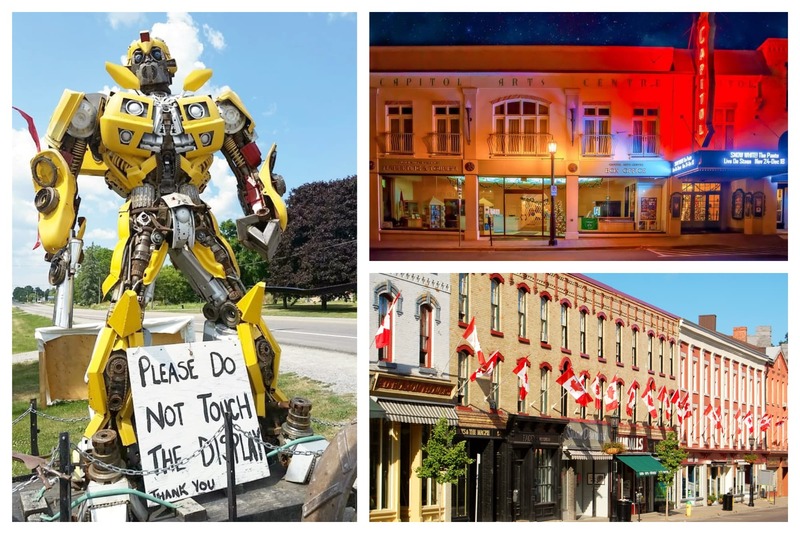 Voted as one of the best small towns in Ontario (and Canada at large), this former mill town is now known for their boutiques and art galleries dotting the 19th century-style downtown. Get that shopping spree going at top spots like Tin Barn Market, which is full of Instagram-worthy home décor, and Mill Street Books, where you can verify that “the book was better” than the movie. If you love all things Celtic, plan your trip to town in July for the Almonte Celtfest. Featuring traditional performances and food, it’s a local must-do. If you’re planning on vacationing with someone who can’t sit down for more than five seconds at a time, leave them home before you visit peaceful Truro. This town in Nova Scotia has made an impression on travellers looking for serenity. Known for excellent picnic spots (like Victoria Park) and a quaint downtown that’s as charming as it is welcoming, this is where you go to unwind. Downtown Truro is the place to be. With a bustling town square and tons of boutiques lining the avenues, you can find more than a few treasures to bring home. Stop into favourites like Pearl & Daisy Natural Soap Company and Beck & Boosh for some “treat yourself” purchases. Are you a history buff? We’re not sure you’re allowed to brag about that title until you’ve been to the Colchester Historeum. This centre has meticulously preserved and displayed the history of Colchester County. Top Left: Trover/Lyca-Gypsy; Right: Yelp/Andrew L.
A famous crab once said that life is better under the sea. Well, he may have been right, because there are few things that can compare to scuba diving in Tobermory. With roughly 20 shipwrecks to explore, you’re going to want to stay under the waves as long as possible. After a day out in the water, you’re probably ready to sit back and cheers with an ice-cold brew. 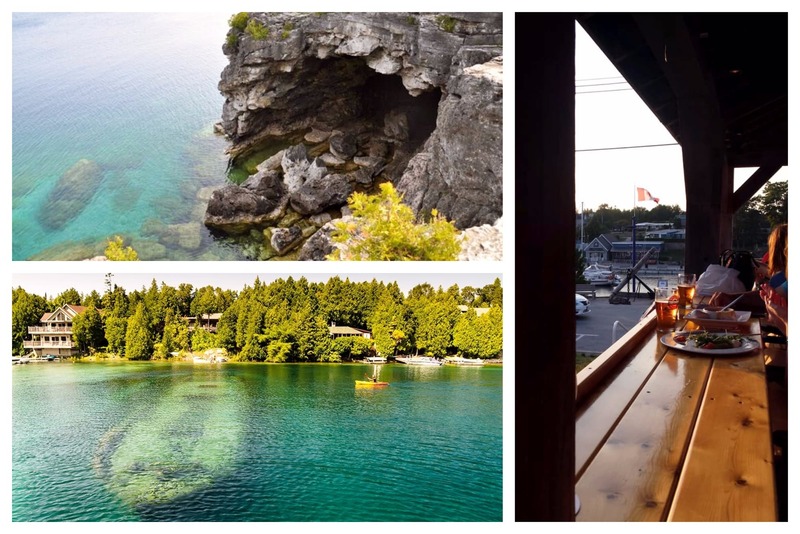 As it so happens, there’s no better place for that than Tobermory Brewing Co. & Grill. Crack open local beer like Sailor’s Delight, made with raspberry wheat, or Rattlesnake RyePA, made with orange and spice. For drier activities in Tobermory, we suggest Circle Arts. With 48 seasons under their belt, this five-gallery centre has a little bit of everything when it comes to artistic expression. Island life makes for the best holidays, if you ask us. 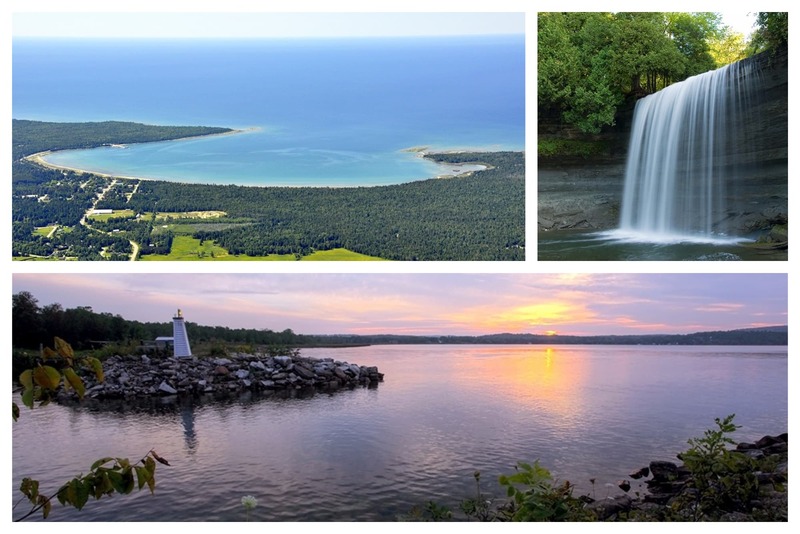 And since we asked real Canadians where they love to vacation, we know for certain that Manitoulin Island is one of the best places to visit in the country. This area is well known for its outdoor sights—especially Bridal Veil Falls. For an additional top pick, we’d recommend walking along Cup & Saucer Trail, which is around 2 km long and features 70 m cliffs along the route. For beauty of the indoor variety, make your way to Perivale Gallery. Home to woodwork, glass, and photography, it’s a haven of all things lovely. Left: Yelp/Andrew C.; Top Right: Flickr/john; Bottom Right: Yelp/Andrew C.
Ready to take a gander around Gander? Sorry, we couldn’t help ourselves. This small town in Newfoundland and Labrador has found itself quite the following, judging by their popularity in this poll. Maybe it’s the birds or the planes, but you can’t help but feel your spirits soar in this town. When it comes to those metal birds in the sky, you may only focus on whether or not you get a window seat. Gander on the other hand, knows everything there is to know about airplanes. 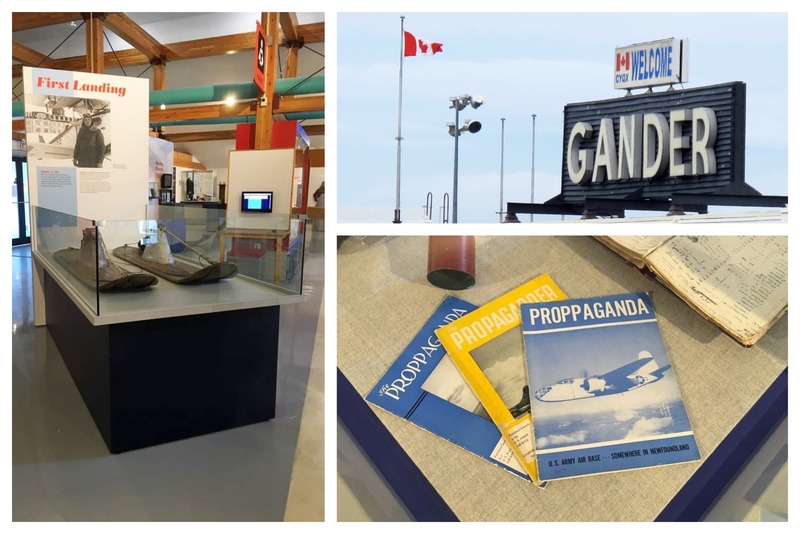 Make a visit to the North Atlantic Aviation Museum, with exhibits that cover aviation history from 1935 through 2001. Speaking of flight, the Festival of Flight is one of the biggest occasions in town. Taking place each summer, the event features fireworks, performances, and games for kids. Harrison—specifically, Harrison Hot Springs—is a true vacation destination. When you need to get away from pesky to-do lists and sit in some bubbles for an hour or two, this is where you’ll want to head. Perhaps due to its comforting nature or scenic surroundings, this area got high marks among survey-takers. 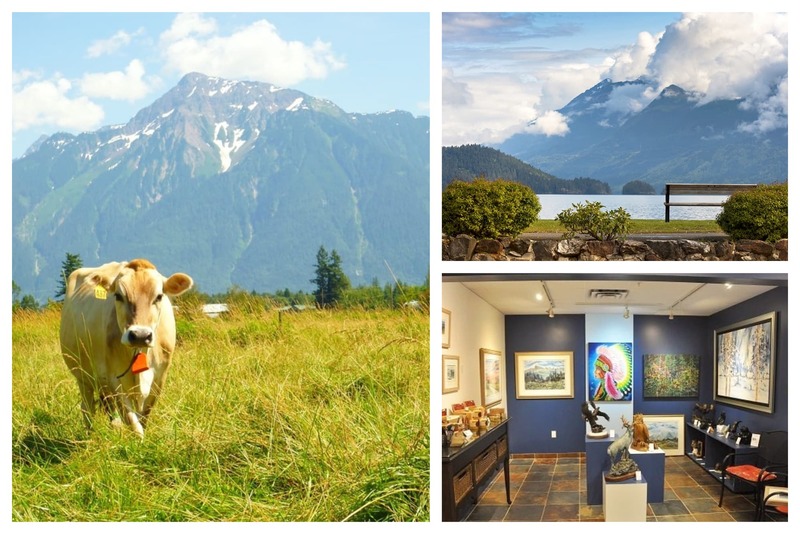 Folk art, jewelry, and blown glass are just some of the features that make Canwest Art Gallery on the Lake a rock star in town. Harrison, along with its neighbours, produce some of the tastiest food in the province. But don’t take our word for it. Sign up for the Circle Farm Tour to stop into places near and far, like Farm House Natural Cheeses and Earthwise Farm. 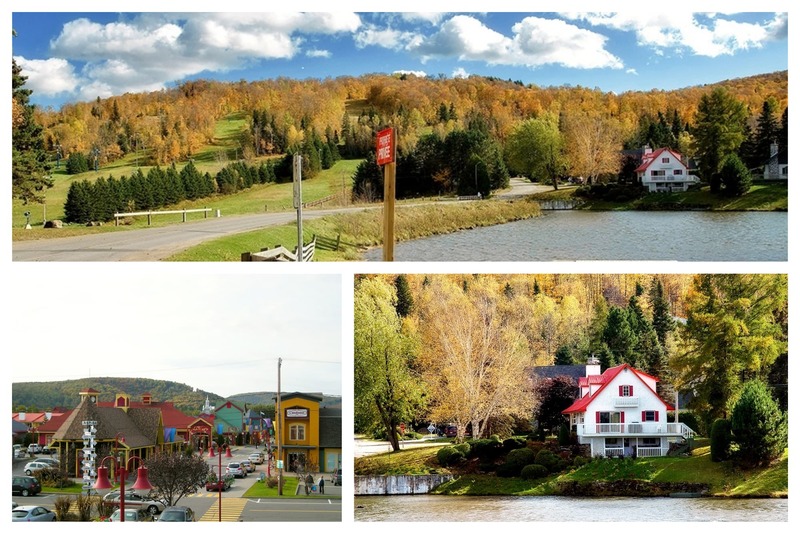 With a storybook atmosphere that’s complete with thick green trees, a splatter of mountain ranges, and a sense of calm that’s deliciously serene, the Saint-Sauveur area gets major points for being a favourite day trip. 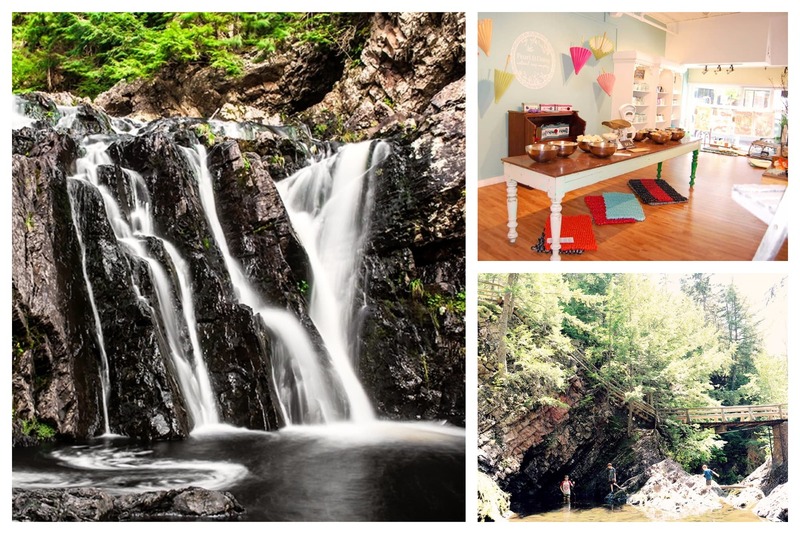 Located less than an hour out of Montreal, this valley has made an impression on travellers everywhere. Whether you’re at the Olympic level or are simply happy not to slip on your bum every few minutes, ice skating is one of the most popular things to do around here—especially at local favourite Parc John-H. Molson Outdoor Skating Rink. After all that skating, you’re going to want to fill up your belly, and there’s no better place for that than Restaurant Maestro. Feel fancy when you order dishes like the smoked salmon with lemon confit dressing or Chinese duck with hoisin sauce. 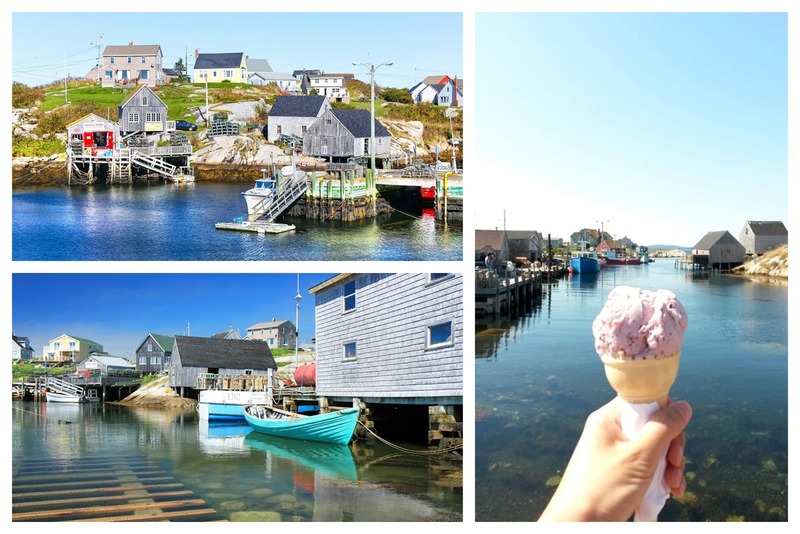 Top Left: Flickr/Russ2009; Bottom Left: Flickr/Barney Moss; Right: Yelp/Nina N.
Peggy’s Cove has the rare quality of being both breathtakingly scenic and remote enough that you won’t have a ton of people poking you with their selfie sticks. It’s a place to get back to the root of things: salty air, soft sand, and good eats. Take some time to explore the glacier-cut cove on a walk around the town. In particular, Great Earth Expeditions will show you the coastal landscape and provide info about the vegetation and wildlife you encounter. You’ll also want to be on the lookout for the William E. deGarthe Memorial, which is a 30-meter horizontal tribute to the fishermen and townspeople. Your convenience store ice cream doesn’t have anything on DeeDee’s. This local favourite packs a punch with flavours like Rum and Raisin, Pumpkin Spice, and Roasted Sweet Potato. Port Hope is the town other towns want to sit with at lunch. Warm shoreline strolls. Quaint brick buildings. The perfect balance of elegant dining and rugged sporting. If there was a vote for the best all-around town, this one would take the prize—which, given that it’s on this list, means it’s already a winner. The Capitol Theatre is an institution around here, and rightly so. It’s one of the only “atmospheric theatres” left in the country, which features a painted night sky ceiling and brick-lined walls. Catch shows and live music while sitting in one of the 380 seats. Is that a 6-meter tall, Shia LaBeouf-approved robot in front that store? Yes, yes it is. Primitive Designs is an antique, import, and retail store that finds strange and wonderful collectibles from around the world. Bottom Left: Flickr/TMAB2003; Right: Yelp/Sari Marissa G.
Perhaps you’ve heard of a little giant called Mont-Tremblant. This place is a world-class skiing destination, both for the slopes and the fancy drinks apres-ski. Perhaps it’s no surprise, then, that this sporty town is a favourite amongst Canadians. All vacations should include confetti, don’t you think? Which is precisely what you can expect when you hit up Cafe d’Èpoque, the hottest club in the area. It’s also a popular choice for bachelorette parties, if you and the girls are looking for a night out. Need to detox from the club or life in general? 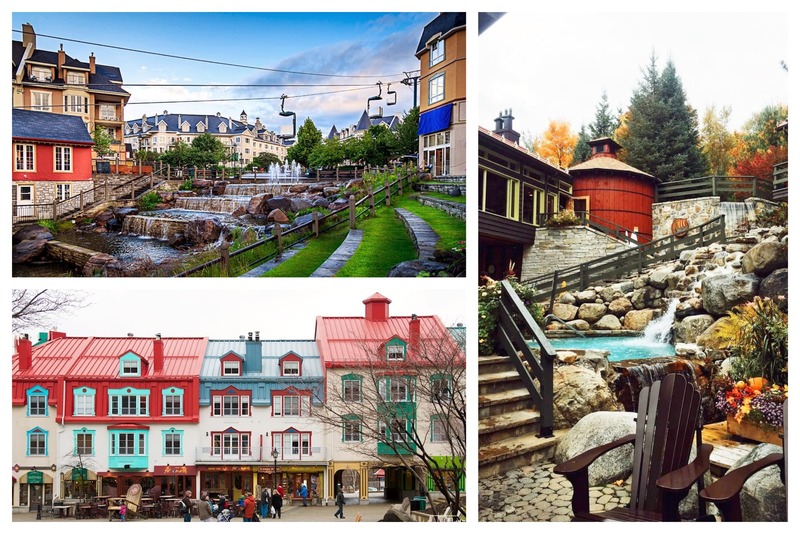 Scandinave Spa Mont-Tremblant is exactly what you’re looking for. Located within the Laurentian forests, the spa’s values revolve around tranquility. Think they’re kidding? They proudly don’t have WiFi, so you can truly disconnect. 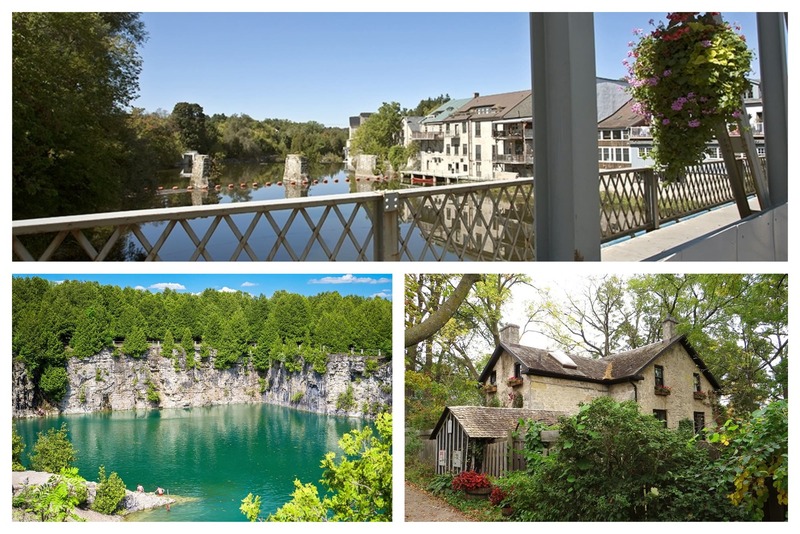 If Elizabeth Bennet from “Pride and Prejudice” were looking for a place to holiday, she might find Elora, Ontario, the perfect spot. Located on the banks of Grand River and Irvine Creek and encased by gentle hills, “idyllic” was invented for this kind of place. We can’t guarantee you’ll find Mr. Darcy at the local cafe, but you never know. Tubing down the Grand River is a rite of passage in Elora, but that’s not where the adventures have to end. Give your joints a workout with outdoor rock climbing, caving, and zip lining with groups like One Axe Pursuits. Get swept away in beauty when you visit Elora Centre for the Arts, which has so many lovely paintings and dioramas you’ll want to swing by the arts supply store on the way back to the hotel. Dawson City is that fun cousin who lives in the middle of the wilderness and puts on parties so good, so extreme, so insane that you can’t help but want to visit. 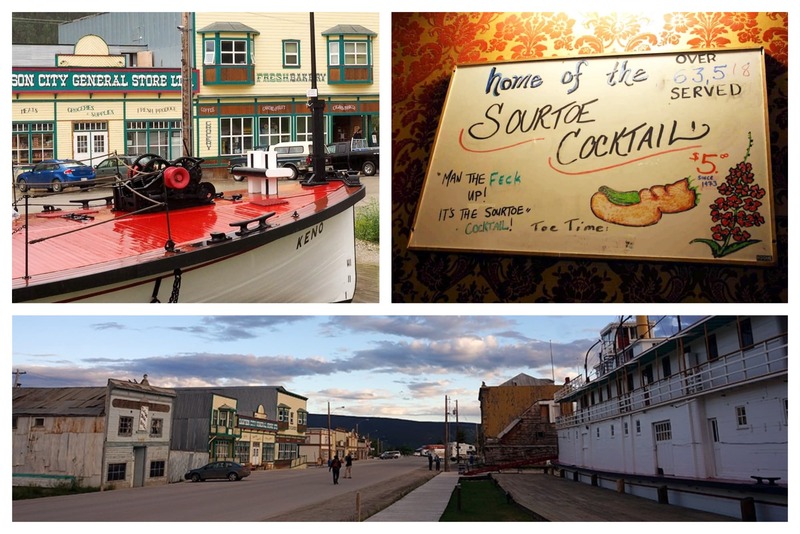 The town’s lively spirit has certainly made an impression on travellers, as it was chosen as one of the most popular places in the Yukon and beyond. When drinking a cocktail made with a dead man’s frostbitten toe (aka the Sourtoe Cocktail at the Downtown Hotel) is considered a normal pastime around here, you’re in for one heck of a time. Bravery, brawn, and a dash of romanticism is what this city’s history is all about. Take a step into the past with the Jack London Museum to learn all about the author’s rugged life, or tour the Dawson City Firefighter Museum to see artifacts from the oldest fire department in the whole territory (established in 1898). OK. We need to talk about the legendary Diamond Tooth Gerties. If you haven’t been here yet, why not? It’s the oldest casino in Canada, it’s the best place to be on Friday nights, and with poker chips, a cancan show, and ice-cold drinks, it’s like stepping into a time machine—only with more feather boas. Top: Flickr/John Vetterli; Bottom Left: Flickr/John Vetterli; Bottom Right: Yelp/Evelyn B. On the shores of Cameron Lake is a hidden gem that apparently isn’t as hidden as one may think, considering it’s in the top 10 most popular small towns in Canada. 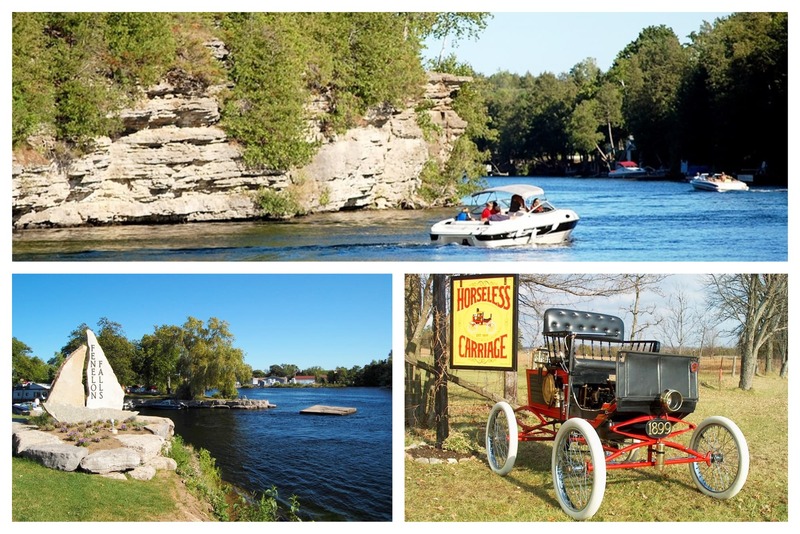 But it’s no surprise that once people visit Fenelon Falls, they can’t stop talking about it. This is where you’ll find a mix of beach areas, waterfalls, and a sense of history that gives this place a certain glow. You can’t help but give props to the name of this museum, in addition to its collection. The Horseless Carriage Museum may sound a little spooky, but it’s far more about wonder than fear. Here, you’ll find antique machinery largely forgotten by the rest of the world, like a 1910 phonograph and an 1895 steam engine buggy. Did someone say pie? We couldn’t hear you with your mouth full of sugary goodness. If you’re in Fenelon Falls, you stop at The Little Pie Shack. Homemade pies, breads, tarts, sweets…it’s a local tradition. Sliding in at number nine of the most popular small towns in the country is Jasper. Known for its rugged outdoors, it’s the place you’ll find tons of people wearing flannel in a non-ironic manner. With Jasper National Park in its backyard, nature is the No. 1 attraction around these parts. 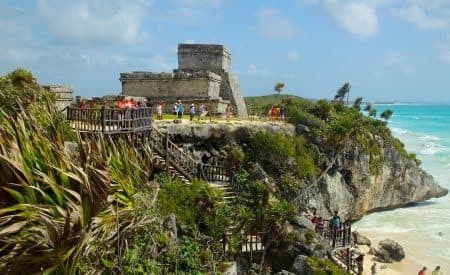 But we can think of a few other things to check out if you’ve never been—or are returning for a second, third, or fourth time. Jasper is the largest dark sky preserve, so we’d be remiss not to mention the ethereal Jasper Planetarium. Inside the dome theatre, a guide will show you aboriginal constellations and the Northern Lights. And within the centre, you can tour the largest telescope in the Rockies, and even get a tour of meteors on clear nights. If you don’t mind a bit of a journey, there’s a site directly outside of Jasper that’s a once-in-a-lifetime experience: Glacier Skywalk. This is where you can stand on a glass floor roughly 280 m above the Sunwapta Valley. Or, if this is something you have zero interest in, well, the surrounding area is still pretty if you want to explore nature while your insane spouse walks on glass. Any place that’s known for its cheese automatically wins a spot in the hearts of travellers. 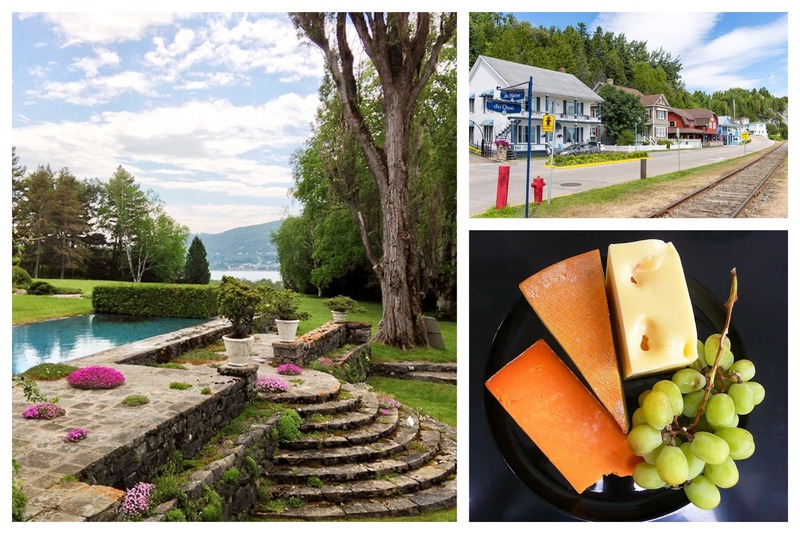 The Charlevoix region in Quebec is a hotbed of phenomenal produce, cheese, and sweets. The fact that it’s located in such a scenic landscape doesn’t hurt, either. Arrive hungry. You’re going to feel like a bowling ball when it’s time to leave. Maison D’Affinage Maurice Dufour isn’t just the grounds of a cheese-making titan; it’s a whole philosophy. Owner Maurice Dufour put Quebec cheeses back on the map, with special attention to the aging process that elicits the most amount of flavour and aroma. You know what? Why stop at cheese? Food is so important here that the Flavour Trail, which stretches from one acclaimed restaurant to the next, is considered a top attraction in town. Make some space, because you’ll want dessert. It’s one of the most popular ski destinations in the world, so it was no surprise to see Whistler on Canadian’s favourite small towns list. When people paint mountain landscapes and dream-like atmospheres, they may as well be depicting Whistler. You simply feel good here, period. In the immortal words of LMFAO, “Shots! Shots! Shots!” Trust us, you’ve never been to a tasting room quite like this—that is, the Ketel One Ice Room at Bearfoot Bistro. It’s the coldest vodka tasting room in the world, at -32 degrees Celsius, and features over 50 different types of the clear stuff. Distilled from hemp seeds, rye, wheat, and other surprises, the vodka here offers an experience you’ll never forget (or, well, will forget after a few too many). Have you bobsledded before? Really bobsledded? 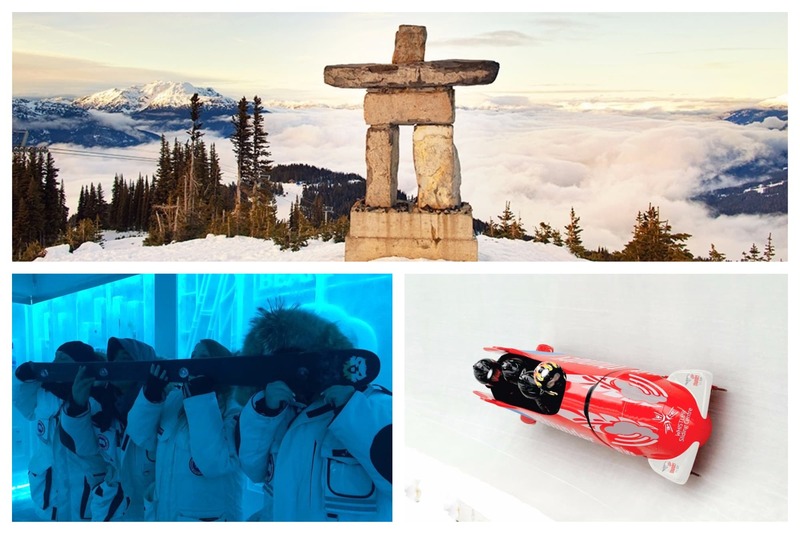 Because the Whistler Sliding Centre features one of the fastest ice tracks in the country, and you haven’t lived until you’ve been on a piloted bobsled with speed demon professionals. 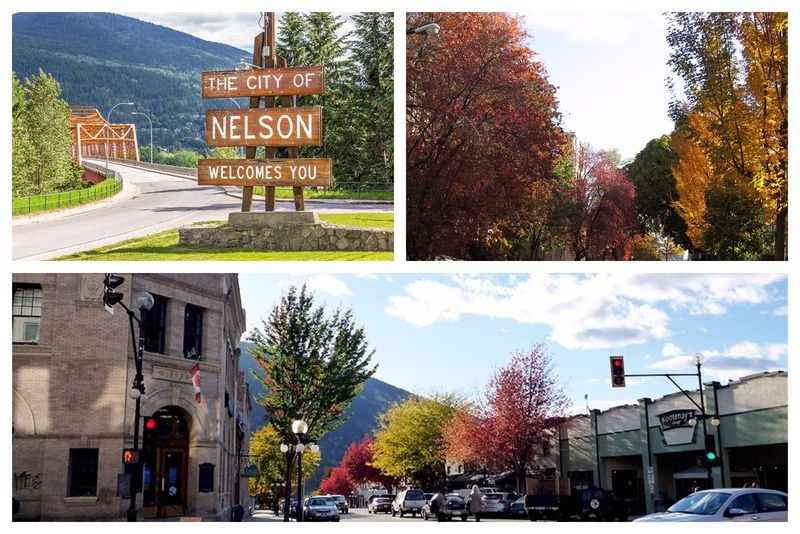 Nelson, British Columbia, is one of those places where a liberal arts degree actually can be put to good use. Case in point, it’s often ranked as one of the best small arts towns in the country. Be it the theatre or public paintings or handmade jewelry, this place knows how to push the boundaries of texture and colour. With about 350 historical structures in the city, a full-on Heritage Walking Tour is definitely in order. Pick up a walking guide at the Nelson Visitor Center and get those calf muscles pumping. When you’re looking for a gift for a friend or for yourself, you can’t go wrong at Loot. Home to a ton of locally made goods, you can find cute and funky stuff for your home, office, bedroom, and everything in between. Bobbing boats in the harbour, murals illuminating the walls, and the enchanting Kingsbrae Garden welcoming all who enter make St. Andrews a top small town. If you don’t like pretty things, this just isn’t for you, because this little city is downright charming. If you’re looking for live music with a side of lobster poutine, Red Herring Pub has you covered. Known as a local hot spot, this is the place to enjoy the best meal of your life with an excellent soundtrack. Speaking of food, olive oil is having a moment. With a myriad of flavours and growing regions, don’t be surprised when oil snobs start taking over menus—which is fine with us! For the tastiest, make your way to St. Croix Olive, where you can sample a ton of different options and be in the know. Goofy foot isn’t a movie or something you hide from your mom; it’s a surfing term. And if you already knew that, then you’re likely already running out to the waves as we speak. 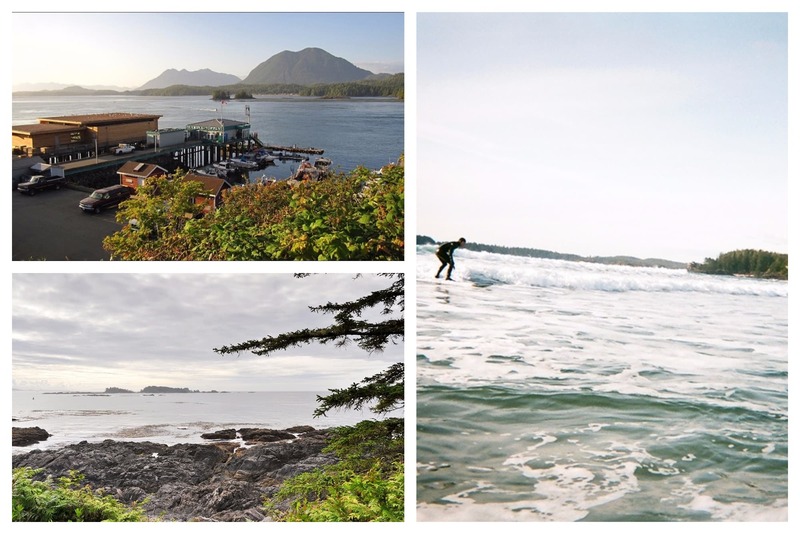 For the best in Canada, there’s one place above the rest: Tofino. Big waves, big boards, and big moments that stretch into almost instant nostalgia. No wonder so many Canadians chose it as their favourite small town. Some lady outings might revolve around Ryan Reynolds movies. And that’s perfectly fine—after surfing. Surf Sister is a surf school led by an all-female team who are here to show you what women can really do (that is, everything). Surround yourself with beauty when you make a stop into the Tofino Botanical Gardens. There are 12 acres of flowers, shrubs, and sculptures twisting into the horizon, all worth a long stroll. Just know that you can stop for a latte at Darwin’s Cafe when you need to refuel. There are farmers markets and then there is THE farmers market. 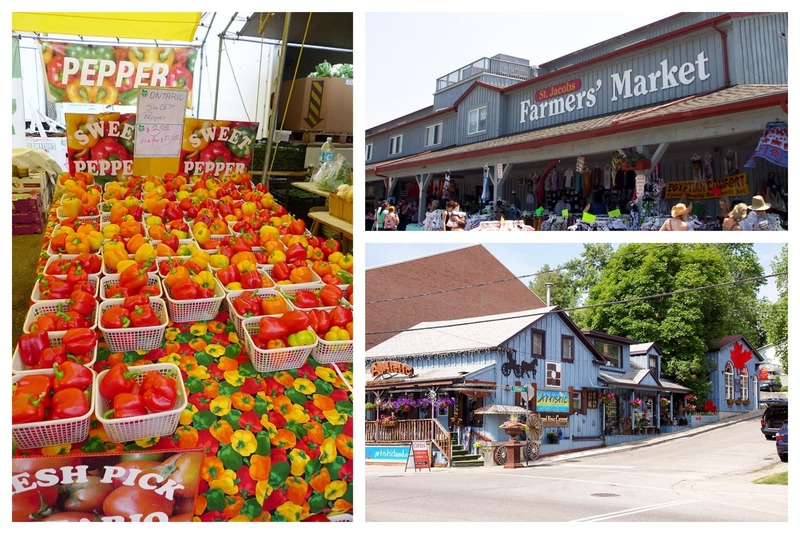 Yes, we’re talking about the one in St. Jacobs, which is the largest year-round farmers market in the whole country. Every Thursday and Saturday (and Tuesdays during summer), you can encounter a cornucopia of local produce. We’re talking freshly cracked bread, meats straight from the butcher, and just about any fruit and veggie you could want. Perhaps it’s really no surprise then that voters ranked it in the top 5 small towns in Canada. You can’t argue with foodies! Putting on both classic favourites and new productions, the St. Jacobs Country Playhouse is a staple of entertainment in town. If you’ve somehow never seen classics like “Death of a Salesman” or “Singing in the Rain,” you’re in for a treat. Maybe you’re a hipster who likes doing things the hard way with candles and lanterns lighting your house. Or, maybe, if you’re like the rest of us, electricity is the best thing that was ever invented (“Game of Thrones” marathons, anyone?). Learn more about the legacy of static electricity and how it changed the world at the History of Electricity Museum. If you’re feeling thirsty—and we’re not talking about looking at pictures of Ryan Gosling—then we know where you can get your wine filled to the brim. We’re talking about Niagara-on-the-Lake, where winos, aficionados, and all the o’s have selected this town as one of their absolute favourite places to be. Whether they remember much about their trip is another story, but they sure had fun while they were there. How much does your travel companion like you? Because if they can take a scare or two, then we’d recommend a few screams when you sign them up for a Ghost Walk Tour. If they’re up all night and keep you awake, well, don’t blame us. If you think you had fun at university, you have nothing on Niagara College, which is the only fully licensed teaching winery in Canada. That’s right: You can get an A in reds and whites here. Sign up for a tasting tour and try not to pout that these students are having way more fun than you had. 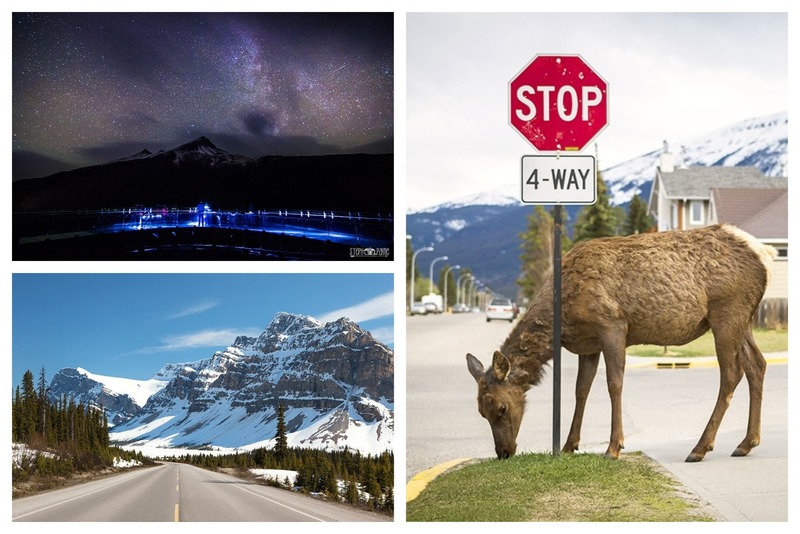 Left: Flickr/abdallahh; Bottom Right: Yelp/Tara B.
Banff, how we meet again! It’s not a surprise that Banff routinely crowns so many best-of lists. There aren’t many places on earth that make you feel like you’ve walked into a fairytale. No traffic, no flickering desk lights, and no dinner served in frozen packets, here. 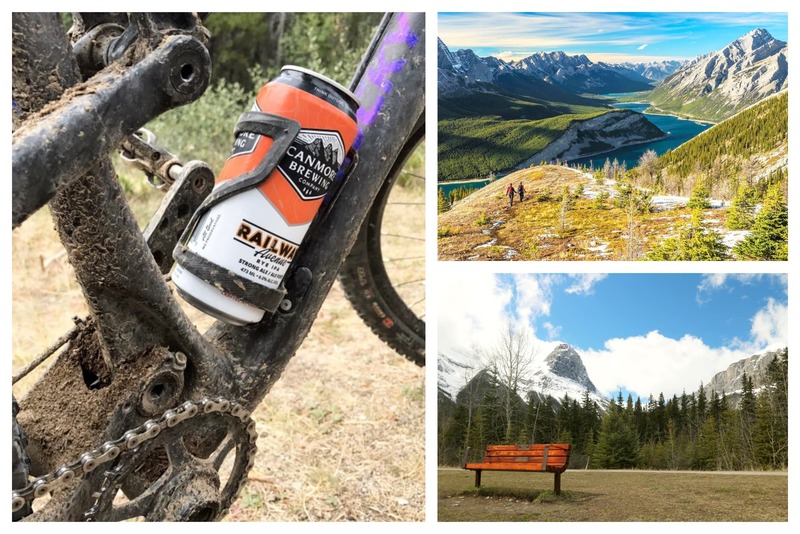 Banff is all about that brisk air nipping at your lips and fingertips, and enough trails that you can still take the road less travelled (so to speak). Banff, you’ve done it again by being the top pick. OK, OK, you already know about the Banff Gondola and Lake Louise, so how about something different? We’re talking about the Banff Merman. Is it real? Is it a hoax? Will Grandma who’s stalking your Instagram photos really be able to tell the difference? Who cares; we think it’s awesome. When’s the last time you had pine nuts on a pizza? Did you just say, “Never?” Time to change that! Head to Bear Street Tavern and order up the Wheeler Hut pie, complete with wild forest mushrooms, pine nuts, pesto, and even a little truffle oil (because why not?). When it comes to the best small towns in the country, the people have spoken. Whether they love the town’s wine, nature, or just the overall vibe, these destinations have made an impression. What are you waiting for? It’s time to get travelling! Curious as to why Perth Ontario wasn’t chosen. It’s truly a beautiful town on the River Tay, has the oldest 9 hole golf course in Canada. Situated between Ottawa and Kingston it is the County seat Of Lanark. The town is known for its historical values and its Main Street Gore,’s downtown area is predominately stone the two parks are lovely with areas for picnics etc. It celebrated its 200th anniversary in 2016. There are many things to do, eg, golf, biking, canoeing kayaking, lawn bowls, curling. It has live theatre and is the centre of 100 lakes within 50 miles which makes it the heart of cottage country. Don’t be afraid to come to the prairie provinces of Manitoba and Saskatchewan-we have lots to offer too and we are extremely under rated! How about Stratford Ontario a truly beautiful little town with it’s famous Avon River and lots of Theatre. Or Charlottetwon. P.E.I. 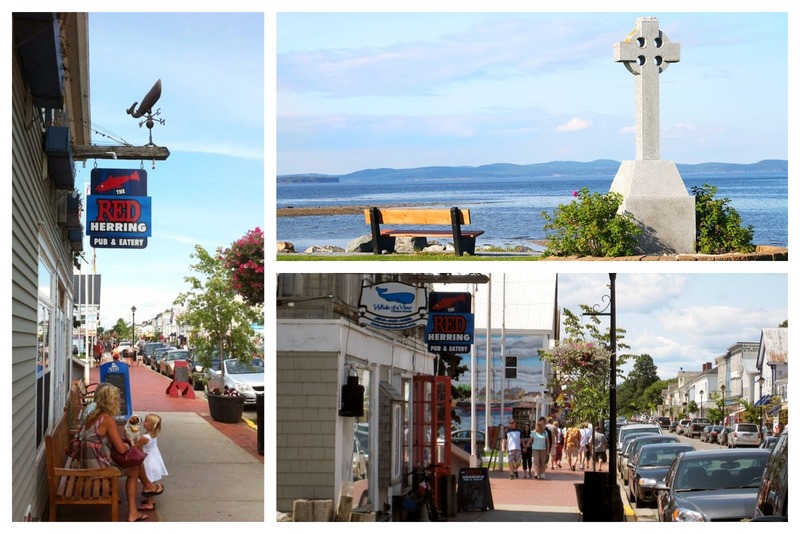 with it’s truly small town flavour, The Atlantic Ocean and its picturesque Bed and Breakfasts. Fabulous seafood, Inns and yes the birthplace of Canada’s confederation. GODerich is the prettiest town with its rich history and architect! 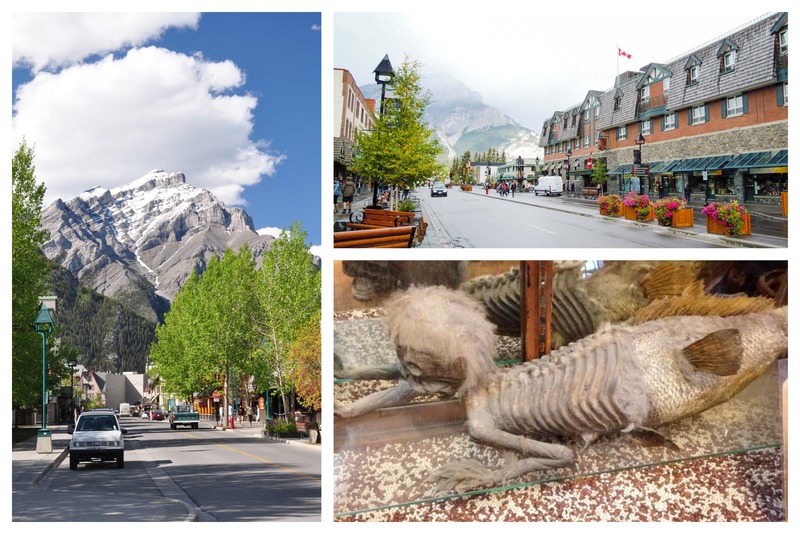 Banff, AB is quaint, adventurous and casual. Something for everyone. My vote would be for Port Dover, ON. Amazing little town and of course Friday the 13th! Goderich, Ontario. It really is the prettiest town in Canada. And on the Great Lakes. I do like your list though and I think I will go to Dawson. Bonavista, Newfoundland should definitely have made this list. Wondering who did they poll, and how many. Should definitely be in your list! Charlevoix is not a town, it is a county. and it is interesting that the only places in Quebec are where anglo tourists go. The two most attractive villages in Quebec are considered to be Ville Marie in Abitibi and Kamouraska in the Lower Saint Lawrence. Fenelon Falls is an amazing community, cheers to the many village residents who volunteer to make its festivals and special events successful. Thank you Fenelon, you make me proud !!! I don’t think Manitoulin Island is a “town” either…but good to see people mentioning Stratford, Revelstoke, and Goderich…gorgeous small towns. Is Stratford more than 20,000 population? As Medicine Hat definitely is too big, that same breath needs to also mention Moose Jaw, maybe the best historic downtown in all of Canada (and comparing across the entire nation is a very heavy lift). I was anticipating where Stratford might show up, and it didn’t. I’m surprised Antigonish was rated as low as it was. I’m an American who has been to six of the 25, in remarkably opposite ends of the country: Antigonish and Truro, Nelson and Tofino, and Dawson City; the other is Banff. I’m hoping that I can put my fall planning together “perfectly” enough to return to Antigonish for their International Film Festival in late October. Besides that, I met some wonderful people up there at Dreamcatchers, etc., and in fact, Antigonish and Nelson are my favorite small Canadian towns. 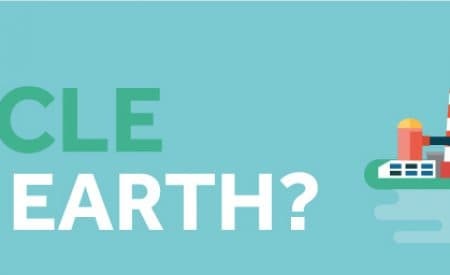 How did Yellowknife miss the list…or is it more than 20,000 now? It was in the teens when I was there in 1986 (and I hung around eight days and I had a very hard time prying myself away). Listen here buckos, Washago ON is the by far the BEST Small town in Canada! So get a grip and add us to your list!